Japan is the capital of weirdness. They prove that once again with a clip featuring Spider-Man...in a way you haven't seen before. In the clip below, normal Japanese guy transforms into the web-slinging superhero with the help of a metal bracelet kind of like how super sentai heroes like Maskman, Bioman, and Power Rangers do. The clip compiles these transformation segments, lifted from the 1978 show Spider-Man by the Toie Company, the same guys behind the aforementioned super sentai shows. 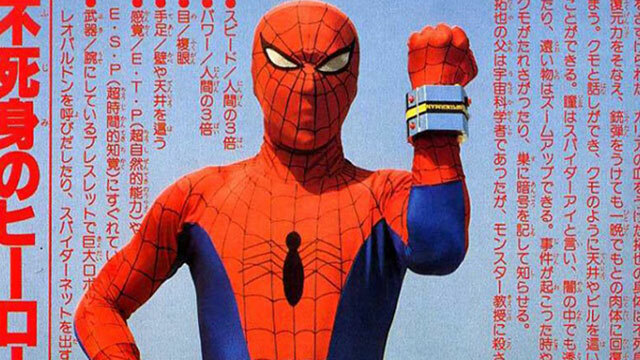 Yes, Batman, once he calls upon the power of the bracelet, the signature blue-and-red Spidey suit drops from above, he zips it up, and voila, Japanese Spider-Man! 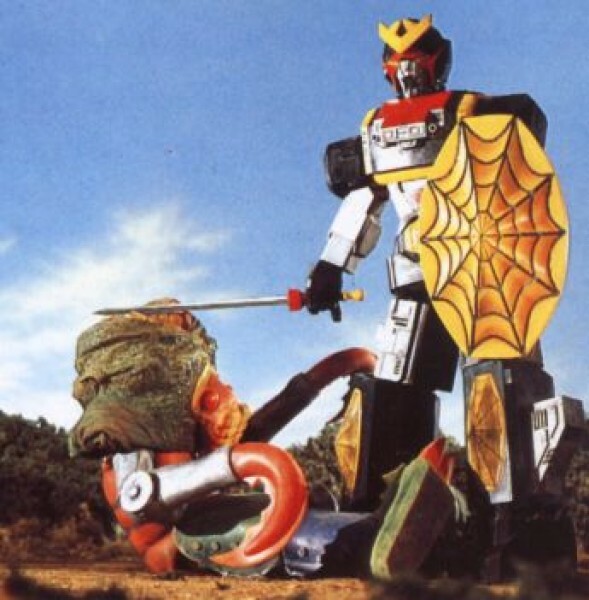 The show was the product of a three-year licensing agreement between Toei and Marvel—an agreement that gave Toei the liberty to do whatever the hell it wanted with the material. And they did just that. In the Marvel canon, Peter Parker was bitten by a radioactive spider. In Toei's world, Peter Parker is Takuya Yamashiro who chances upon a fallen UFO where he discovers the last surviving warrior of Planet Spider. The warrior, named Garia, reveals that his world was destroyed by Professor Monster, who then subsequently transfers spider-like powers to Takuya. He is also given the bracelet that allows him to activate his "spider protector" costume, shoot web-lines, and control the UFO—and get this, a giant mech called the "Leopardon."